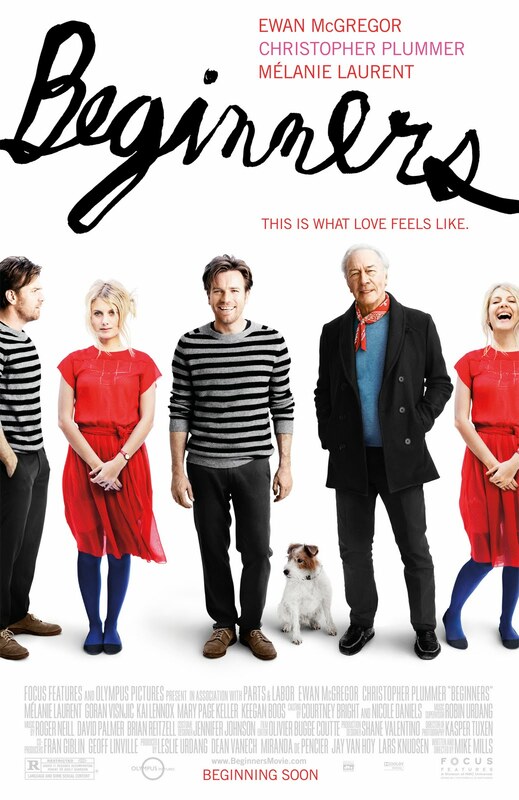 Oliver (Ewan McGregor) is graphic artist grieving for his father, Hal (Christopher Plummer) who has terminal cancer and who Oliver’s just discovered is gay. Oliver then embarks on a love affair with a French actress. Mike Mills is a very hip US Director connected in a big way to cool bands (Air, Beastie Boys), edgy movies (Thumbsucker), and who’s married to an indie-scene ‘goddess,’ so it’s no surprise that this film has an offbeat sense of humour and is quirky in general. However, this film doesn’t know whether it wants to be a romance – see our hero embarking on a love affair with pretty and ‘kooky’ French actress – or whether it’s a family drama – see our hero discovering something huge about his father just as he’s dying – resulting in the film not going into too much depth in either area. That said, the acting and the characters are very well done: Ewan McGregor is likeable and witty as Oliver; and Christopher Plummer as Hal, is great as the kindly, outspoken and stubborn dad. The flashbacks of their visits together in the hospital, where Hal openly embraces his sexuality, to the surprise of his son, are well-observed and poignant, and remind one of the importance of living life to the fullest.